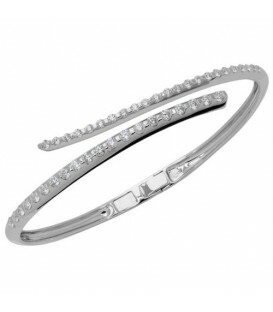 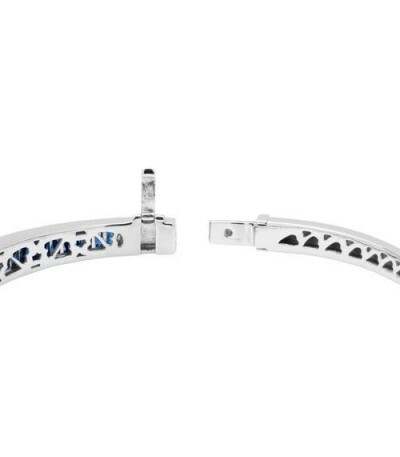 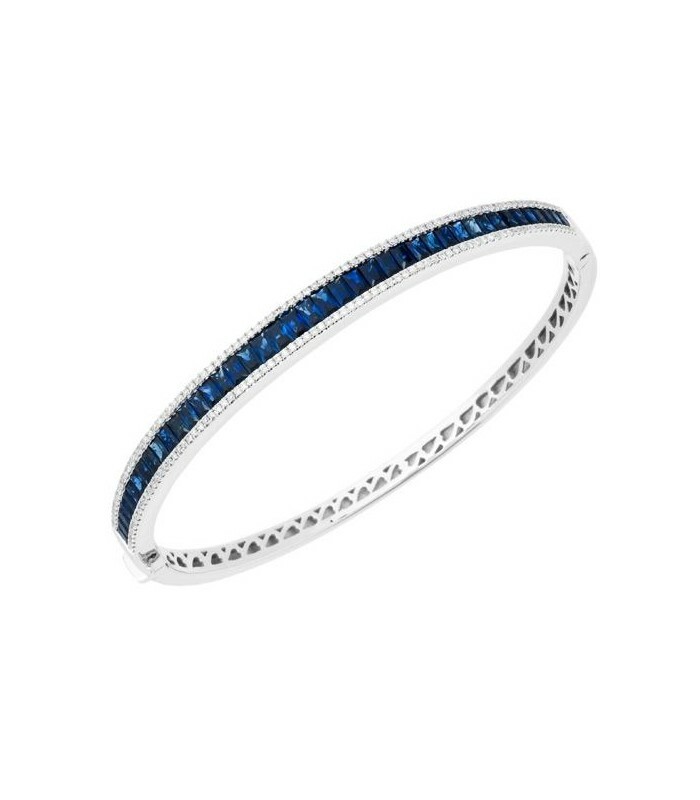 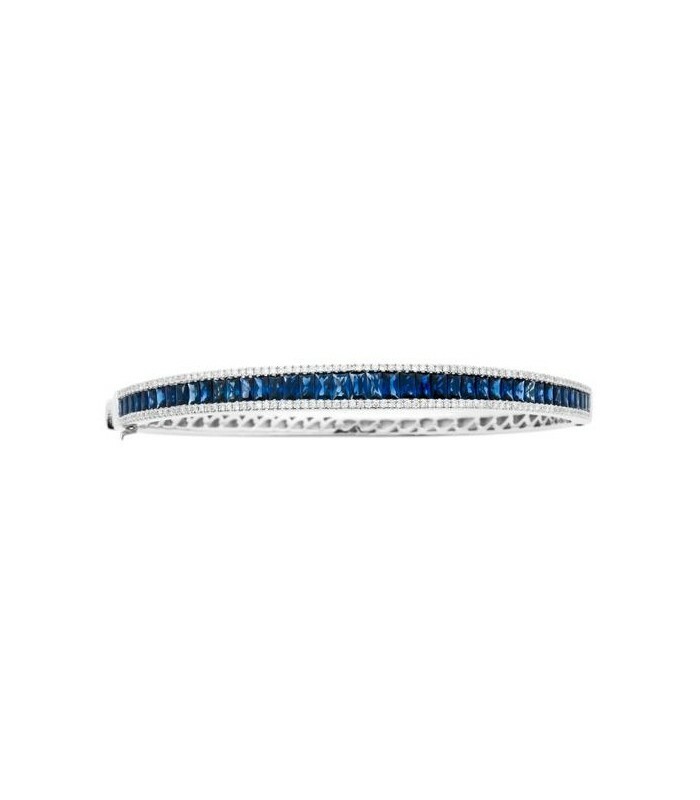 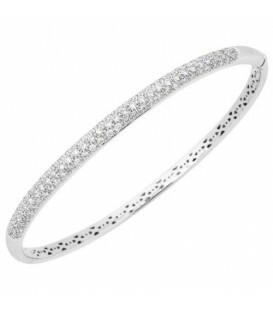 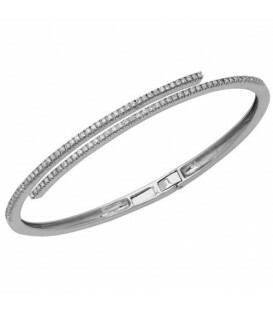 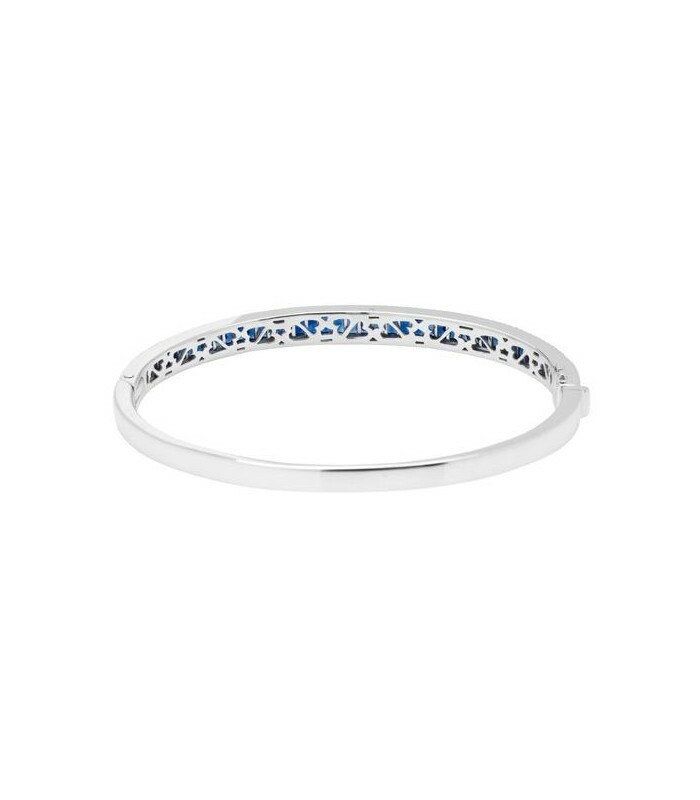 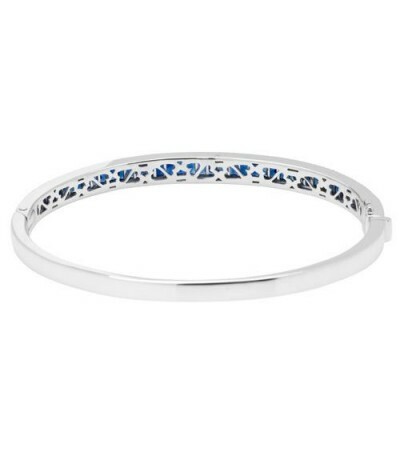 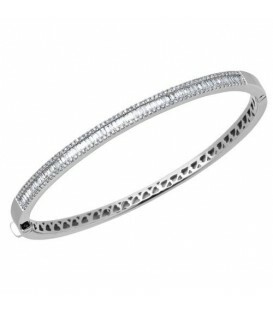 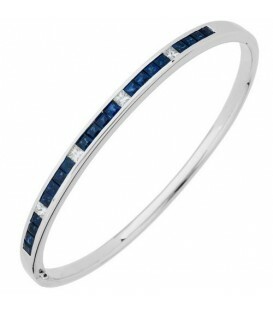 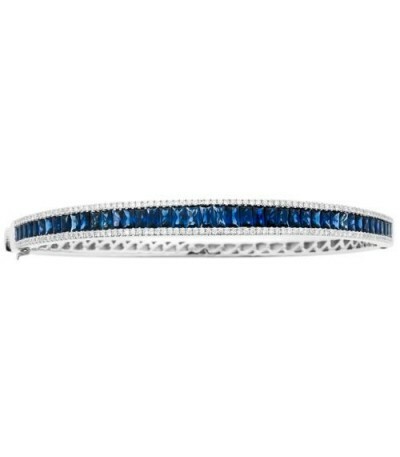 Stunning, square, rich Blue Sapphires are channel set in 18kt White Gold and highlighted with over 160 brilliant round Diamonds making up this exquisite 18 Karat White Gold Bangle Bracelet. 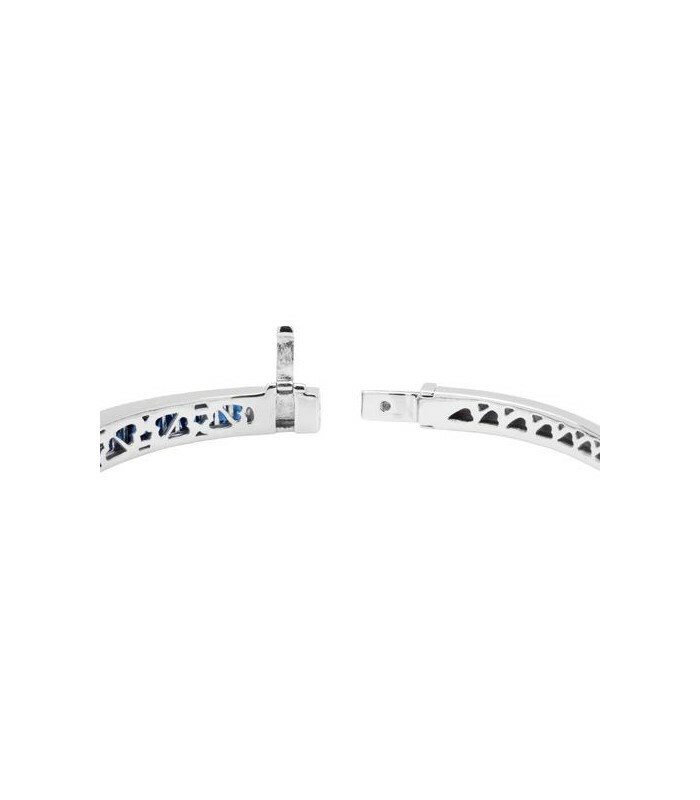 Double safety clasp with hidden lock for extra comfort and security. 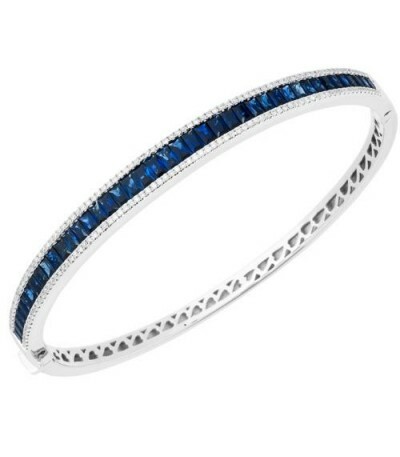 *BANGLE* One (1) Amoro eighteen karat (18kt) white gold Sapphire and Diamond bangle, featuring: Forty-two (42) channel set, square cut, Genuine Sapphires weighing a total of approximately 2.82 carats, and one hundred and sixty-two (162) prong set, round brilliant, Genuine Diamonds weighing a total of approximately 0.50 carats. 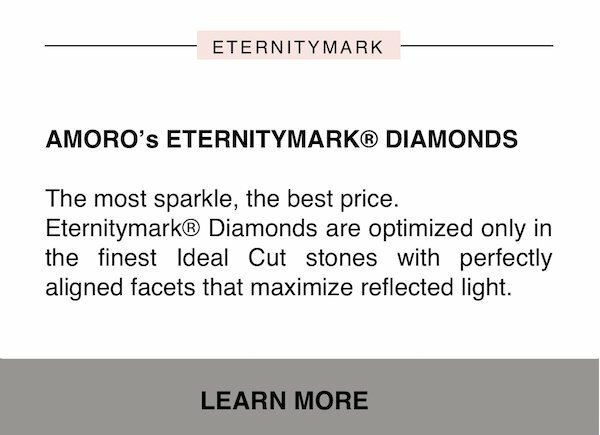 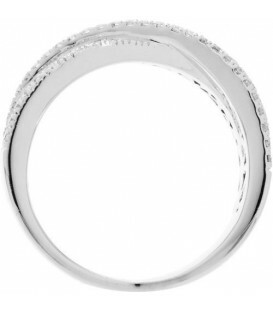 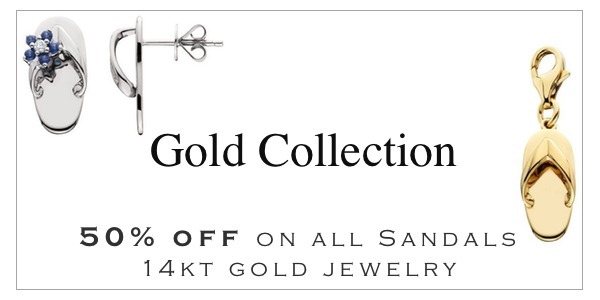 Diamond clarity: SI1-SI2 and Diamond color: H-I.